Compared to other energy sources, nuclear energy is a little bit rare and so are some of the downsides associated with it. Below is a list of the most common disadvantages of nuclear power that we want you to be aware about. Read on. The fuel used for nuclear power generation is rather limited compared to others. Experts say that our planet only has enough Uranium to power our nuclear stations for the next 80 years. Also, uranium is a very scarce and rare element. It is not very accessible for most countries and it’s very expensive to mine and to optimize for power plant use. Although nuclear reactors produce zero carbon emissions, they still produce a different kind of waste — nuclear waste —- which are radioactive and are very harmful to the environment. This is actually the main reason why nuclear power is highly regulated all over the world, especially in the United States. If not stored properly, these radioactive wastes may leak into the environment causing devastating effects to nature and human (e.g. genetic diseases etc.). Nuclear accidents is one of the “scariest” disadvantages of nuclear power. Although it’s very rare, the risks related to it are still very high. One of the worst nuclear disasters in history happened in Chernobyl and Fukushima. And of course, who will ever forget the nuclear bombing of Hiroshima and Nagasaki? The effects of those nuclear radiations can still be felt today even after almost five decades! Because of such devastating consequences, nuclear power reactors are “hot” in the eyes of militants and terrorists making them high profile targets for bombings and sabotage. Once toxic wastes come in contact with bodies of water, eutrophication and poisoning may occur. This may cause serious problems with the aquatic organisms living around the area. Thousands of conferences and meetings have been held to find a plausible solution against this problem but there is still none. Like other power sources, constructing a nuclear power facility is very expensive. We can consider this as one of the disadvantages of nuclear power because not all countries can afford it — especially the developing ones. 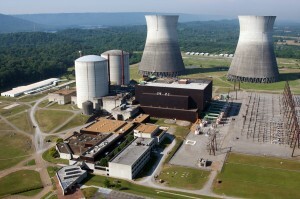 Under normal conditions, nuclear power plants would usually take 5 to 10 years to build. And in order to build one, a company (or country) has to go through a lot of legal formalities and certifications. Not to mention the people who might be opposed to constructing a nuclear power plant near their area. Hey! Nuclear power has a lot of good sides too! Check them out here!